It's been a couple weeks since I've taken the time to write about things I'm thankful for and I find I've missed it. 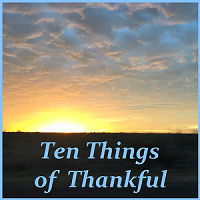 There is always a lot to be thankful for but taking the time to write about it makes me think about it more and therefore appreciate it more. I am always thankful for public libraries, since both Matt and I love to read and now our boys are devouring books we would definitely go broke if we had to actually purchase all the books we go through. Without our public libraries, homeschooling would be much harder. I was able to borrow our history curriculum (for the beginning of the year at least) from neighboring libraries. It's not just about the books though, both boys participate in a variety of programs at different libraries nearby. These programs include story times, sensory play times, book clubs, science groups, and many more. And this summer, our favorite local library has baby chicks! We were lucky enough to be there one day last week when the first of them hatched so we got to watch the process and it was amazing. This week, Davis is attending a Vacation Bible School at a nearby church. He's attended the same one for several years now and it's always really big and a lot of fun. As a bonus, quite a few of our friends bring their kids to the same VBS so he usually has a few friends there, even if they're not in the same group. I love having the opportunity to work with the kids at our church. There's something so fulfilling about teaching the next generation of believers and we get to do some really fun lessons. I teach a cooking workshop and this past week we were working on the story of Jonah. The way they tied the food into the story was really cool. All the photos in this post were shared on my Instagram account within the last couple weeks, follow me there to see more pictures of our daily adventures. This was the first week back to work for Matt after two weeks of vacation. I've also begun caring for a friend's 3 month old son since she returned to work a few weeks ago so it's been a busy few weeks. I am thankful for Matt's vacation and all the fun family time we were able to have while he was home. We've did several nature hikes. And spent a lot of time at the nearby playgrounds. 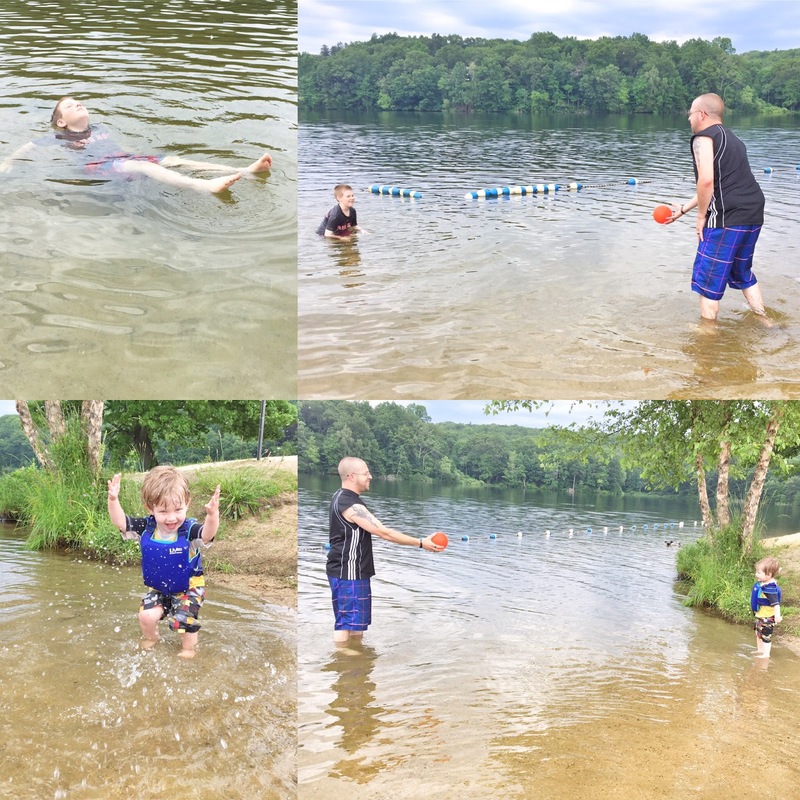 We also went swimming at the local pond for the first time this summer. Two weeks ago, we spent an afternoon/evening with Matt's sister Stacey, her husband Steve and their son Patrick. It's always fun spending time with them but this time there was a special reason for getting together, Patrick left a few days later for boot camp as he has joined the Army National Guard. I'm also thankful for our church family and the wonderful things we get to do together to bring God's word to our local community. On the last Sunday in June, we had our Sunday service outside at a local park. It was such a great experience. I got to teach the elementary school group and we had a lot of fun learning about how Jesus called his Disciples to become fishers of men. 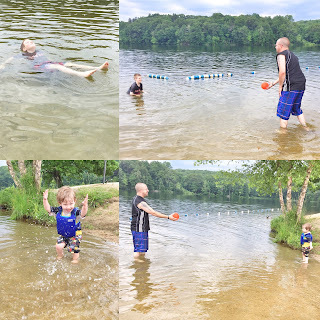 We played a couple of fun games after reading the corresponding section of Scripture (Luke 5:1-11) and it felt almost like a mini Vacation Bible School. I'm so excited to do this all again at the end of July and I can't wait to see what we come up with to do with the kids.